I’m Ed Smith, an Ione Bicycle Accident Attorney. While people are growing up, many of them learn how to ride a bike. There is even a saying that once people learn how to ride a bike, they never forget. Unfortunately, the same cannot be said of people and helmet use while riding a bicycle. Many people do not wear helmets while riding either because they just forget or because they find them to be uncomfortable. A recent medical article was published demonstrating that helmet use reduces spine injuries. 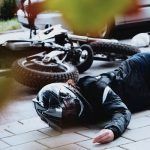 Bone Fractures: When someone falls from a bike, bone fractures, are common. This typically comes from people bracing their fall with their hands and wrists. Abdominal Trauma: Abdominal trauma often happens from impacts between the stomach and handlebars. This could lead to internal bleeding or organ rupture. Spine Injuries: Unfortunately, spinal injuries and head injuries can occur. For this reason, it is essential to wear a helmet. This equipment keeps the rider from suffering severe injuries, such as a traumatic brain injury. Deaths: Around 75 percent of bikers who were killed sustained a head or spine injury in the process. Helmet Use: Over 95 percent of bikers who were killed were not wearing a helmet. Serious Injuries: Bikers suffering devastating injuries were rarely wearing a helmet. Just over 10 percent of these patients had one on. Teenagers and Young Adults: More than half of the individuals sustaining a spine injury were between the ages of 16 and 30. 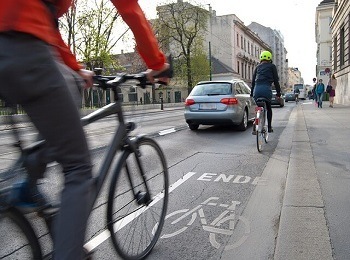 The results of this study show that if people wear their helmet while they ride a bike, they are at a significantly lower risk of sustaining a spinal injury. Incontinence: An injury at one of the lower levels of the spine could lead to someone having dysfunction in their bowel or bladder habits. Mobility and Sensation: An injury at one of the spine’s higher levels could lead to challenges with motor and sensory function. This can seriously impair someone’s quality of life with relation to mobility, ability to work, and ability to exercise. 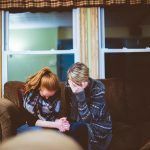 Families who have concerns should not feel hesitant about reaching out and asking for help. 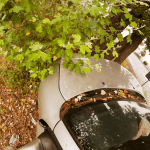 An experienced attorney can help a family conduct a full investigation into the circumstances of the accident and can discuss if there are any other options available that family might find benefit in pursuing. I’m Ed Smith, an Ione Bicycle Accident Attorney. 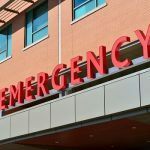 Individuals who sustained a severe injury in a bike accident can contact me using (209) 227-1931 or toll-free at (800) 404-5400 for free, friendly advice. Please visit Avvo, Yelp, and Google to glance at information written by some of my customers and clients. I am pleased to be a trial attorney in the Million Dollar Advocates Forum. My guests are free to read my verdicts or settlements here. Image Attribution: The picture at the beginning of this article was seen on Unsplash. It has been shown on this location with permission.